Gelsenkirchen - To see in action for FC Schalke 04, one might struggle to identify that he is the most recent name on the Gelsenkirchen club's roster. The Serbian defender has settled in so well since his winter switch from Manchester City FC that he is now as recognisable a part of the furniture at the Veltins Arena as the mock mineshaft tunnel to the field of play. The mention of the two in the same breath is not casual either. Nastasic has embodied the workmanlike qualities of those who, for many years, have journeyed deep down the pits for the shifts which enable them to get to see their stars in action each weekend. They can identify with Nastastic as one of their ilk. "I felt incredibly good here after such a short space of time," Nastasic said in an interview with schalke04.de. "I could tell that it works well between Schalke and me." That the 21-year-old former Manchester City FC stopper took to life in Gelsenkirchen like a duck to water has a good reason too. "Before I joined, I watched a lot of their games on TV and collected plenty of impressions of the club, the players and the fans," he said. "That let me paint a picture of how the lads perform here and the way the different components of the team interact on the field. I was also able to pick up how important the fans are and all this knowledge certainly aided my integration because I already felt I could identify with a lot of things." As a result, Nastastic has not missed a minute of the action since swapping sky blue for royal blue, endearing himself to a following he knew everything about before he first lay foot inside the Veltins Arena. "I knew pretty quickly that the most important thing for the people here is to see that you're giving everything you've got for their club, and working hard out on the field," Nastasic said. "The fans want to see you going in for every tackle and sacrificing yourself for the club. I like that. At the end of the day, this worker's mentality was what got my whole career started." Growing up in Serbia, Nastasic shared that same passion for the game. "I only had football on my mind from morning to night," he said. "If there was no game being shown on TV, then we'd go into the garden and try out new tricks." 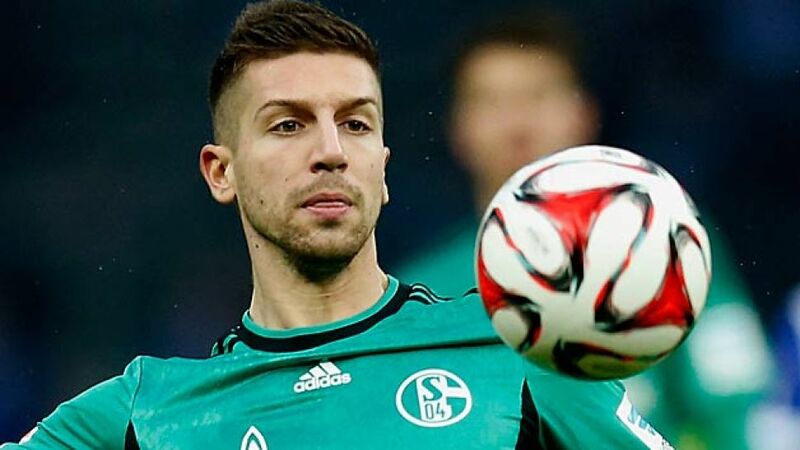 That time appears to have served Nastasic well, attracting plenty of admirers in the game, few greater than his current coach Roberto Di Matteo. "He and the whole club tried so hard to get me," Nastasic said. "They made it very clear that they wanted me and what role they could see me in. That was important because it's always been my objective to have a responsible role at a big club, and I think I'm heading that way here." Few would disagree with a man who is certainly looking at home and established at Schalke.